Each week Jake proposes a theme for creative inspiration. You can post your interpretation to the theme on your blog anytime before the following Sunday. Remember to post your link in the comments section of the weekly challenge. This is my first time participating in the Sunday challenge. Here is my interpretation of light. 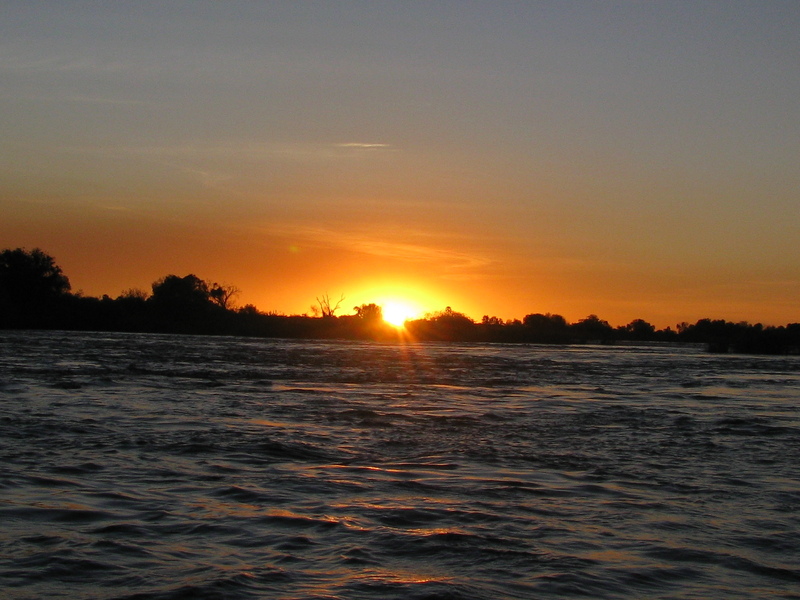 Not only is the sunlight fading, but you can see its reflections on the Zambezi River. This entry was posted in Africa and tagged Africa, Light, Photography, Photos, Sunday Post, Travel, Travel Photo, Travel Photos, Zambezi River, Zambia. Bookmark the permalink. very beautiful, and the Zambezi is such an exotic river … i think of Victoria Falls …. and the spray in the light … thank you for joining Jakes Sunday Post and the Light challenge! Beautiful sunset and beautiful colors! What a treat! I never get tired of sunset/sunrise shots. This is a beautiful photo! How nice this is. Thanks for sharing. Can’t you just feel the warmth of the setting sun on the water? Love your photo. I envy your skills, good sir. What a stunning capture of a perfect moment!